Please note this is a concealed design award category. Please also check the open design award categories. The A' Spatial Design Award is a concealed design award category in order to protect intellectual properties of projects that are not yet realized or published. This category does not publish its results, please refer to the following standard categories if you wish to have your results published: Spatial Design Award Categories. The concealed Spatial Design Award category is open to entries of: Architecture, Building and Structure designs, Urban Planning and Urban design projects, Interior Spaces, Exhibition Designs, Landscape Planning and Garden Designs, Engineering, Construction and Infrastructure designs. The winners of the A' Spatial Design Award can opt-in for having their entries made visible and results published but this also requires approval from us. Please remember that we do not publish the PDF docs submitted in any case, therefore any confidential information shall be provided part of the PDF. The PDF files are open to viewing of jury members only, and are not send to press or not included as a part of our PR Campaigns. A1. Even though the spatial design category is concealed entry due to trade secrets, the entries could potentially be visible online. Especially the following could potentially be visible to public: “Project name, category name, primary function, designer name, and small thumbnail image”. A2. Award winners in this category will not receive some of the services that would make the designs publicly visible. The following are the services that are excluded for this category: Yearbook participation, exhibition participation, pr-campaign, premium pr distribution, press releases etc. Some of the services and limited distribution could be provided. Winners keep right to receive trophy and logo usage permissions. A3. Even though your entry is labeled secret and hidden, in cases where publishing your design details is required, such as by law, or due to other external threads or opportunities, we reserve the right to publish the designs or run the pr campaign in any case. A4. You declare that the information you submit is correct, and harmless to society. If your entry is discovered harmful for society, your award status will be cancelled, and you agree to pay fines that are twenty-fold the nomination fees to A’ Design Awards, plus any other legal fees, plus any other fees or payments that might arise due to damages to people etc. When submitting to the Spatial Design competition, always prepare a visually stunning presentation of your project, high-resolution images, renderings and mockup photos can be submitted. It is important to attach contextual presentation and textual descriptions as a PDF document. The Spatial Design award considers your submission on evaluation criteria such as: Innovation, uniqueness of the project, social impacts, environment friendliness, energy utilization, and project specific criteria, based on the type of submission. Unlike other prestigious design awards and competitions, you are not obliged to make any further fees for winning the award and everything listed in the winners benefits will be provided free of charge. To apply to Spatial Design Award category, simply register, login and upload your design regularly and choose Spatial Design Award Category from the category list during nomination. Remember to ensure to choose the Cat. 105 which is the concealed category. Previous winners for the Spatial Design category are not publicly displayed, however further information and press kits could be available upon demand to press members and interested parties, please contact us for press kits in this category. 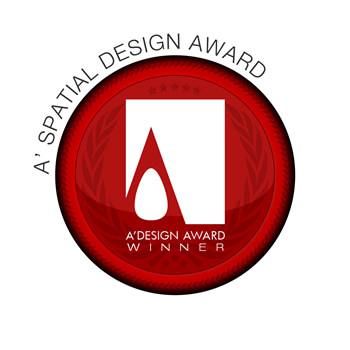 Furthermore validation service is possible to confirm award status and qualification; please contact us to verify if a service or product is indeed a winner of the Spatial Design Award. Award winners will be able to use a title that matches their nomination category: Such as "Spatial Design Award Winner". Optional Image #1 1800 x 1800 pixels JPEG A Shot or rendering of the project showing a different view, focus on details or interiors, or a view from the exterior or bird-eye. Optional Image #3 1800 x 1800 pixels JPEG Showing the project in the setting where the design is realized, or showing some further details from the spatial project, birdeye view etc. Documentation Max. 40 x A4 Pages PDF Explaining technical aspects, blue prints, details, commercial presentation or other notes about the spatial project, explosion, layered or sectional views if present. Video File Max. 10 MB. 45 Sec. AVI 3D Rotation / Exploration View, Conceptual Video, Short Feature or Advertisement of the spatial design project. 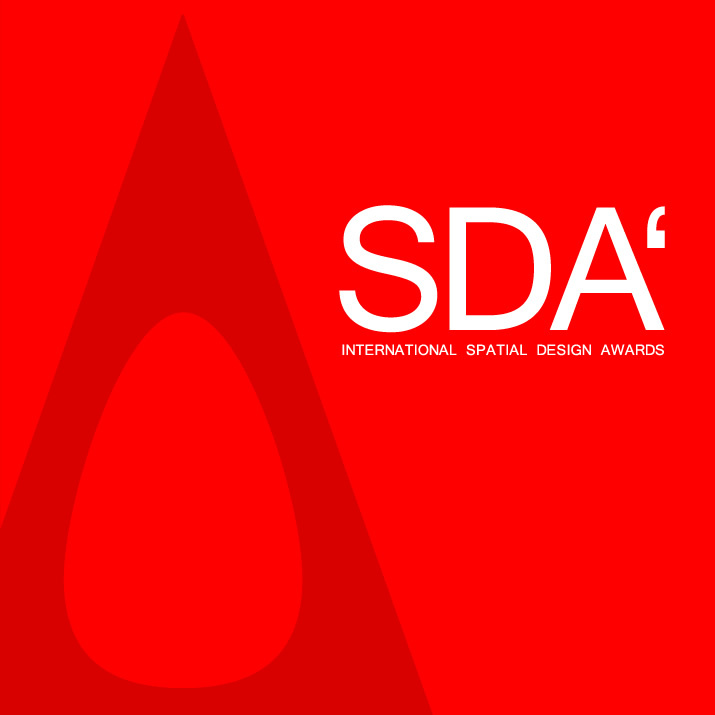 SDA - The Spatial Design Competition, is a concealed design award category part of A' Design Awards & Competitions. Entries submitted to this category will not be made visible to public.